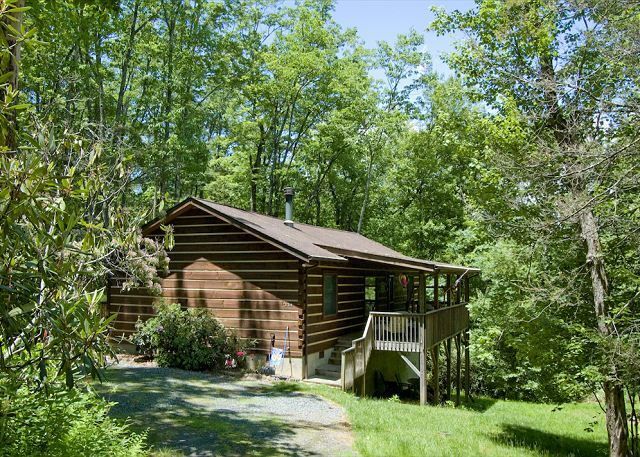 If you’re looking for a secluded and romantic place to spend your honeymoon then how about the mountains of North Carolina in one of our West Jefferson cabin rentals. Cabins are an ideal place to spend a honeymoon with the privacy they provide in a gorgeous setting where you can relax and just focus on each other. Our cabin rentals have all the amenities you could want including fully equipped kitchens so you can hide away from the world for the duration of your honeymoon stay. 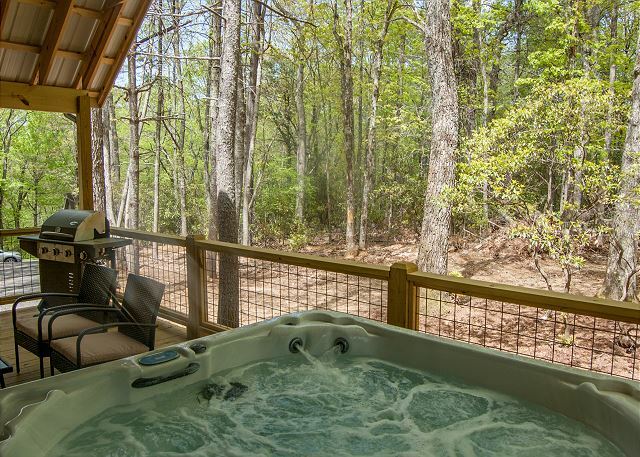 Cabins are fully furnished and offer private decks, hot tubs and other comforts of home. You can enjoy the breathtaking views and enjoy pleasant natural luxuries like rivers, trees, creeks, and fresh air to breathe. If you’ve never been to the scenic Blue Ridge Mountains you’re in for a real treat. Spending your honeymoon in the mountains of North Carolina will make memories to last a lifetime. With a vast assortment of cabin sizes and price ranges you’re sure to find the perfect rental from among our large inventory. Some cabins are located far back in the woods and are very secluded with fishing and hiking available, while others are located closer to the town of West Jefferson, thus providing shopping and more cultural activities. While you’re in West Jefferson, be sure to enjoy all that our town has to offer visitors. From pubs, bakeries, coffee shops and restaurants, to art galleries, antique centers and clothing shops, there’s plenty to see. West Jefferson may be best known for its Arts District. Numerous art galleries and studios featuring local and regional artists work can be found here. We’re also the site of 15+ murals that provide visitors with a walking tour throughout downtown that you won’t want to miss. The murals were designed and painted by local artists and reflect the area’s history and unique mountain character. A walking tour map can be picked up at the Ashe Arts Center and Ashe Chamber of Commerce. When you’re considering places to honeymoon, be sure to consider Stay Blue Ridge.